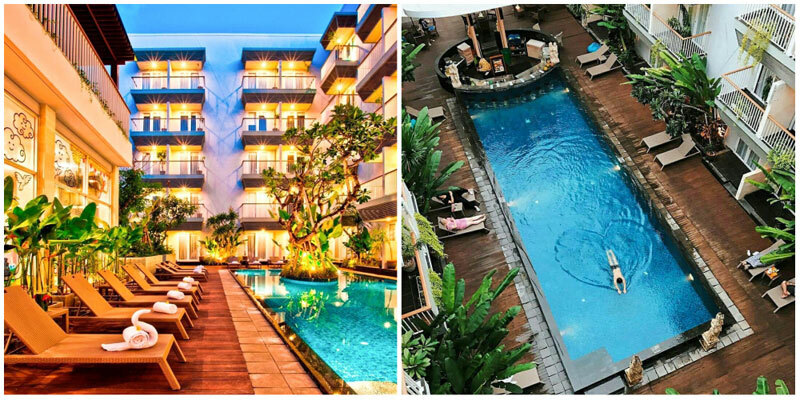 Indonesia > Bali > 10 Affordable Bali hotels with family rooms (for 4 pax) with pool and near the beach in central areas under $100! It’s that time of the year! The annual family vacation planning is on! Family holidays are all about enjoying the journey more than the destination but we all know that Bali ticks all boxes when it comes to great family fun with amazing beaches, kid-friendly hotels and attractions! If you’re travelling with the little ones (or slightly older ones) that require you to keep an eye on them, finding a hotel that can accommodate the whole family of 4 in the same room might be a headache every single time. 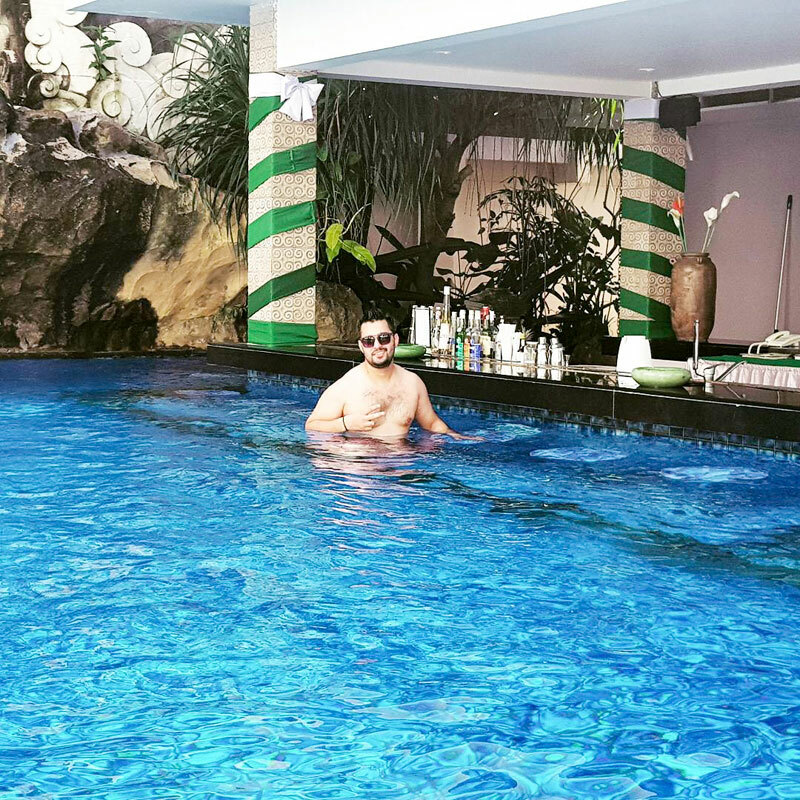 What’s more, if you are on a budget and would like to stay in a central location, you might have to spend hours trawling through numerous hotels and might not even end up with a quality accommodation option. And have you always thought you had to book two rooms to fit in your young adults of 12 years old? We prove you wrong with these affordable family hotel rooms that can accommodate up to 4 adults (so you can be sure they are spacious!) 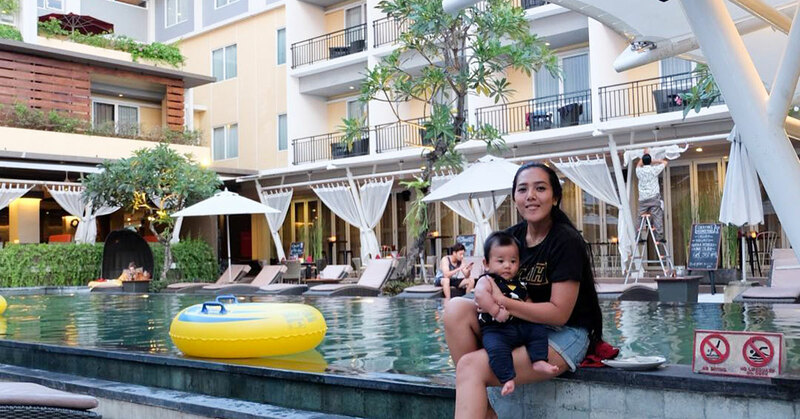 with a pool that your young ones would love, are within walking distance to the beach, and are located in central family-friendly areas of Bali such as Seminyak, Kuta, and Sanur! Nestled in the quiet area of Candidasa, Crystal Beach is what we define as a family-friendly hotel that offers fresh ocean air and strolls around the lagoon beach. The beachfront hotel also comes with on-site dogs who love a cuddle – your kids will enjoy it! 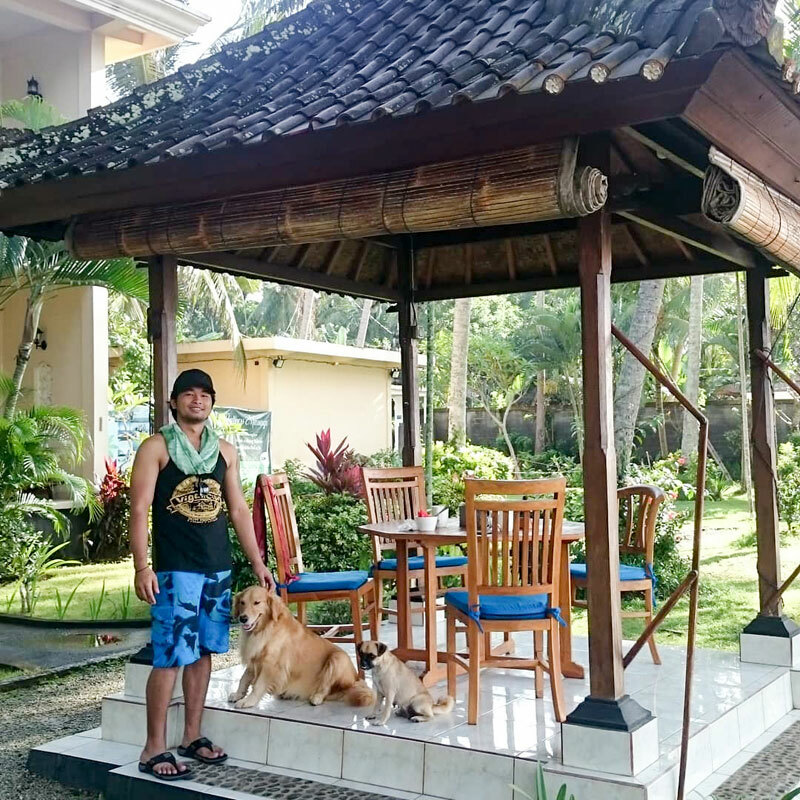 The roaming doggies create a friendly and homey vibe too. For a super affordable rate, families can book a stay at the Duplex Quadruple Room (Family Deluxe with Terrace) with breakfast included! Expect basic furnishing in the room as this is not a luxurious stay, but it features all necessary comforts for an exotic family escape, especially when considering that most of your vacation time will be spent outside! When not snuggling the dogs and having fun in the pool, travellers are often heading off with slippers, spades and buckets for a day at the beach. Breakfast at Crystal Beach is served on the daily, rain or shine with a side of sea views! Ocean breeze and salt in the hair are bound to replace your daily caffeine need! 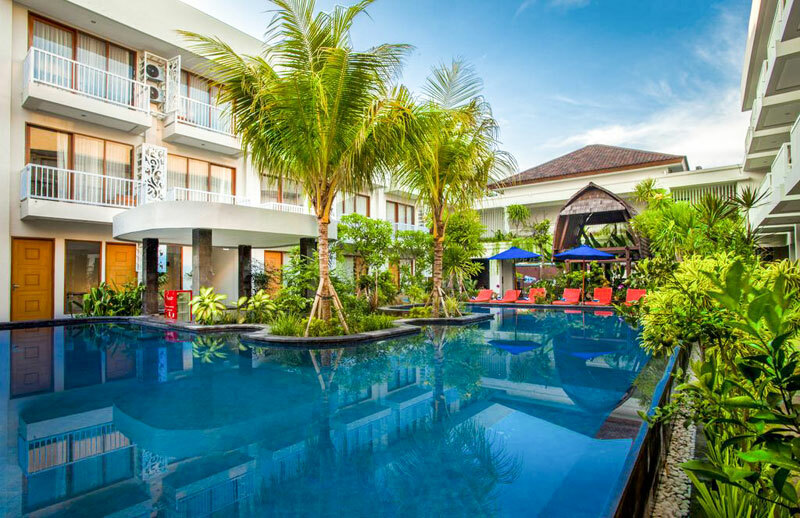 Located along the golden sand beach of Kuta on the western coast of Bali, Kuta Seaview Boutique Resort & Spa almost guarantees daily clear blue skies and waves to surf on. What a spot for ultimate family fun! To fit in your comfort and budget, book one of their Family Rooms which comes equipped with a king-size bed and two single beds along with a shower and bathtub, promising days and nights filled with bubbles and laughters! 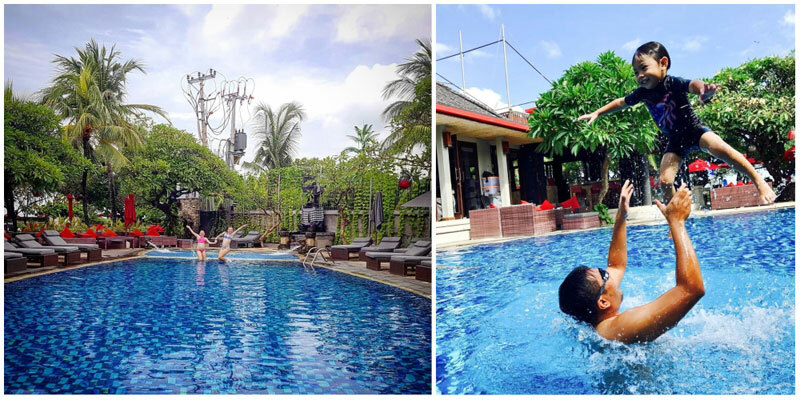 Spend the day at the surfboard-shaped swimming pool, lounge in their lazy chairs while the kids splash in; head to Kuta beach throughout the day and initiate the whole family to surfing with beginner classes from top surfing schools! At sunset, get back to the boutique resort and settle at the poolside bar to sip on cocktails while the sun drowns and a DJ pulls off some beach house music. The resort is surrounded by big fast food chains (Happy Meal for dinner makes kids super happy we promise!). 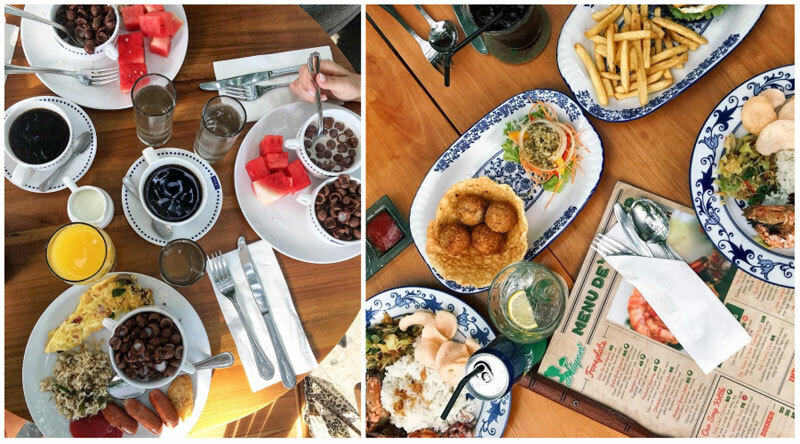 If you’ve got one of those super curious kids who is keen to try out new cuisine on holiday, you will also find several local warungs (casual dining) offering traditional delicacies that will probably make them forget about hamburgers and fries while in Bali! Enjoy sleeping close to mini-you? Can’t shut off your inner mama bear even while on vacation? Don’t be ashamed! Make the most of it before your little ones grow too big! 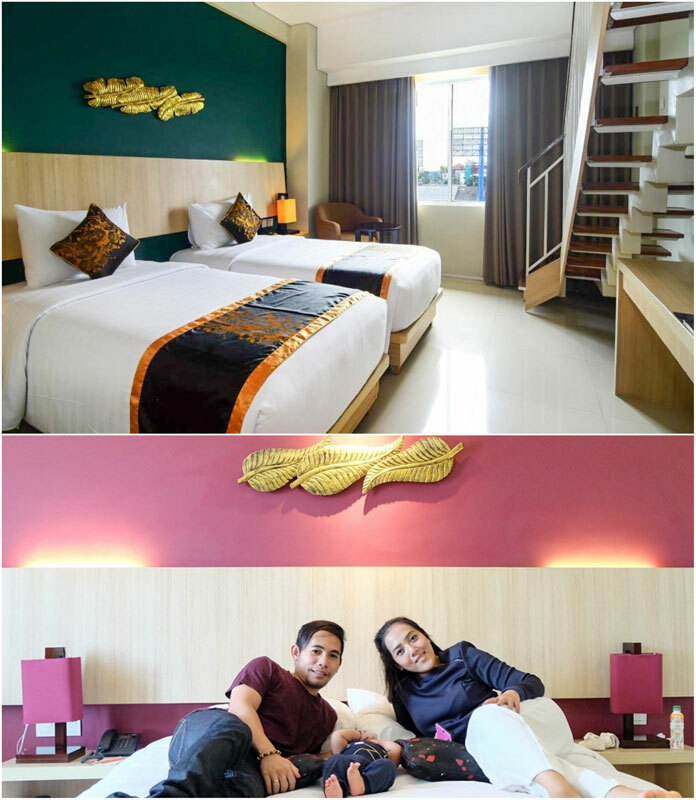 Family rooms at the Bintang Kuta Hotel are all equipped with one king bed and two single beds. Some of the units are located on the highest floor, if that’s what you are after! Nothing fancy but the rooms have all necessities you require for a comfortable stay at a super good deal. On the outside, you may head to the pool, swim up to the pool bar for a few iced beers and cocktails while the kids have fun in the water! 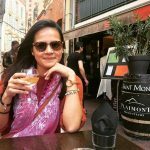 And if you are craving for some sand in between your toes, a 17-minute walk will lead you to Segara Beach for some peaceful and quiet time, without the stress of running after your kids fearing that they throw sand to other people’s faces. The beach is almost what any family needs – uncrowded and charming with warm inviting waters that call for a dip! P.S. 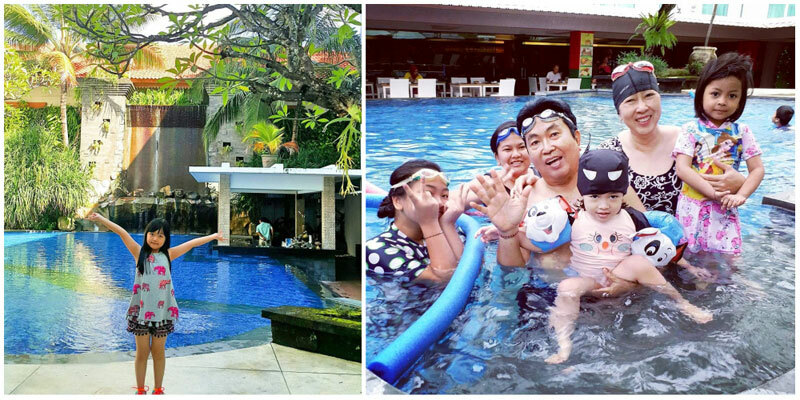 The best for the last – Waterbom Bali is just a 9-minute walk away!! Family fun guaranteed! Self-proclaiming as a family-friendly accommodation (we approve! 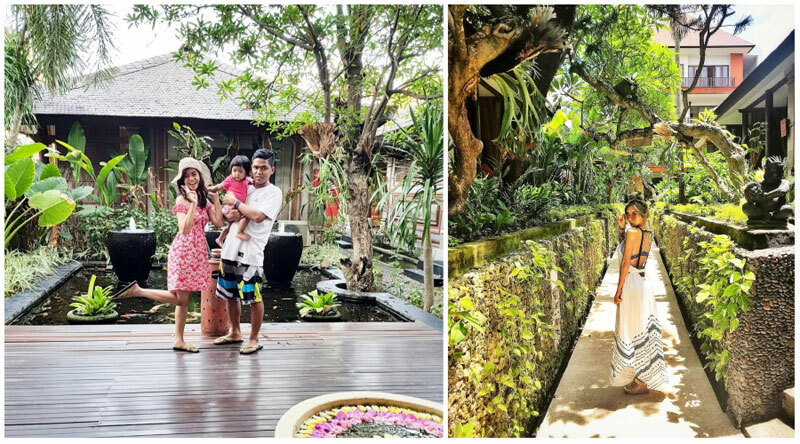 ), The Kana Kuta Hotel in Bali is where parents can enjoy privacy along with smooches and hugs with the tots in the morning! If that’s what you are after, book yourself a Family Duplex Room, which is spread over two levels for a sweet family vacation of a lifetime. Besides being cozy and spacious, the room is airy and comfortable as it features all of your necessary amenities to cater for up to 4 adults! Whichever bed you decide to settle in, you may now kick back and forget about holidays where you have to squeeze into a tiny airless box! The hotel is far from being a snooty place where staff or other guests shush your children if they run down a corridor, or somewhere full of low-lying precious objects that invite disaster, so rest assured for a relaxed holiday in the tropics! You can expect other thoughtful facilities to keep your tiny ones happy. 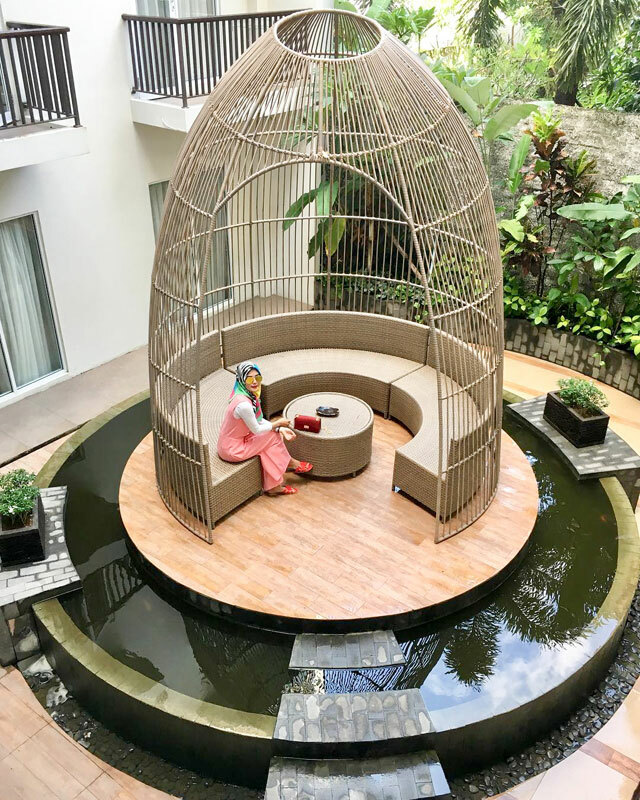 Besides a lavish pool to jump in and have fun, and a fish pond to sit by and feed, the hotel also features a kids’ corner right next to the lobby (yes you can finally keep them busy while you check-in and check-out!). The indoor playground is glass-fronted and air-conditioned, equipped with a colourful padded play-mat, funky tables, chairs, books, toys and games to ensure minimal tantrum moments while on your getaway! Should you get tired of the indoors, take a pleasant 20-minute stroll to the nearby Kuta Beach for ultimate fun in the sand and sun! 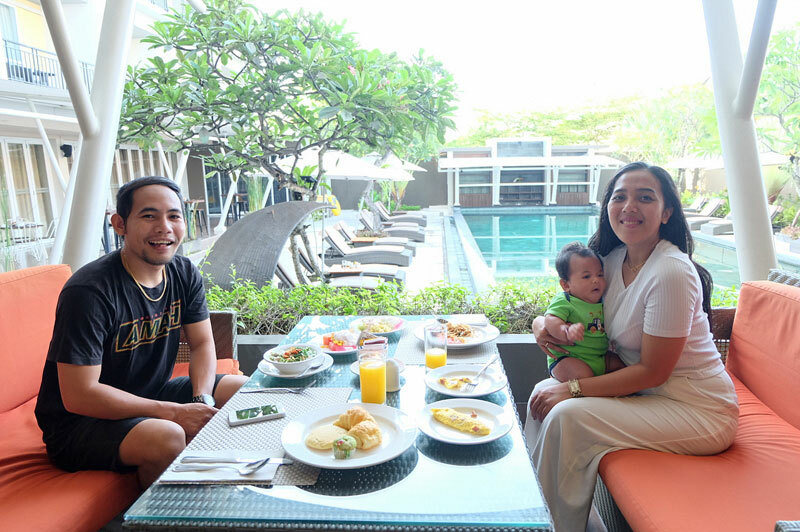 Max One Hotels Seminyak makes parenthood dreams come true: parents who have begged hotel management staff to accommodate all of their three kids in one room for no additional cost can actually do so, thanks to their family room that sleeps up to 5 guests! The expansive family rooms here are decked out with pop art decor, contemporary design and you can surely expect crisp-sheeted beds for the best of sleeps! And what rhymes with good sleep? No screaming, no whining, no hysterical kids, which make for very happy parents! Both the parents and the kids have their own TV to maximise the glorious sense of freedom and privacy! The room interior is safe and kids can romp around while parents sleep in peace! As you might have guessed, contradictory to big resorts, there’s no organised fun and no timetable of activities at MaxOne Hotel. 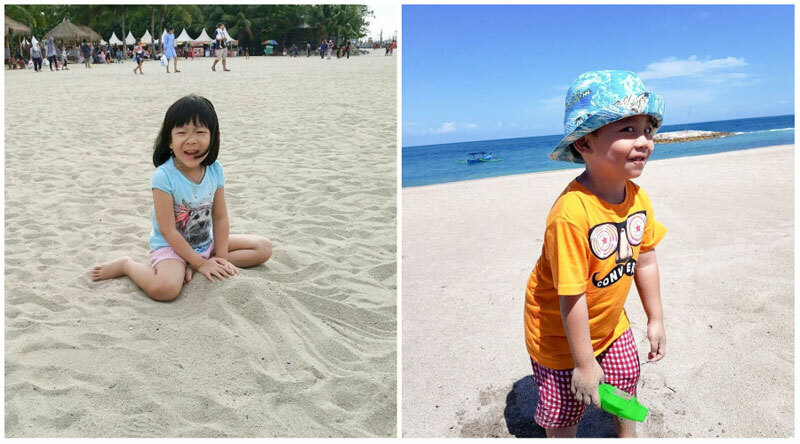 Instead, there is the beach that is accessible by foot so get ready for a bucket-and-spade holiday with the kiddos! If your frazzled teenagers are in need of sunshine and downtime, they can simply walk to the beach by themselves within 20 minutes, and this will keep them happy for hours before heading back to the hotel for a dip in the outdoor pool while you lounge on the daybeds! 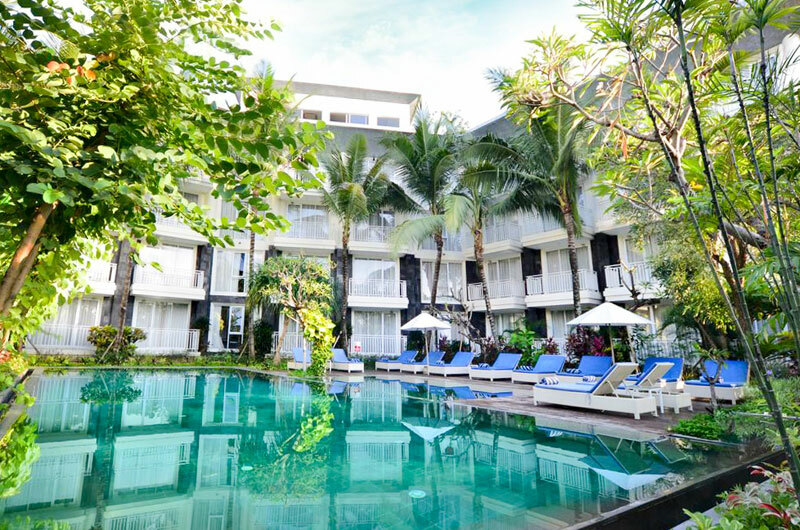 With its convenient location, well-maintained interiors and hospitable staff, it is difficult to believe that Max One Hotels Seminyak is so welcoming to squealing critters and their parents! 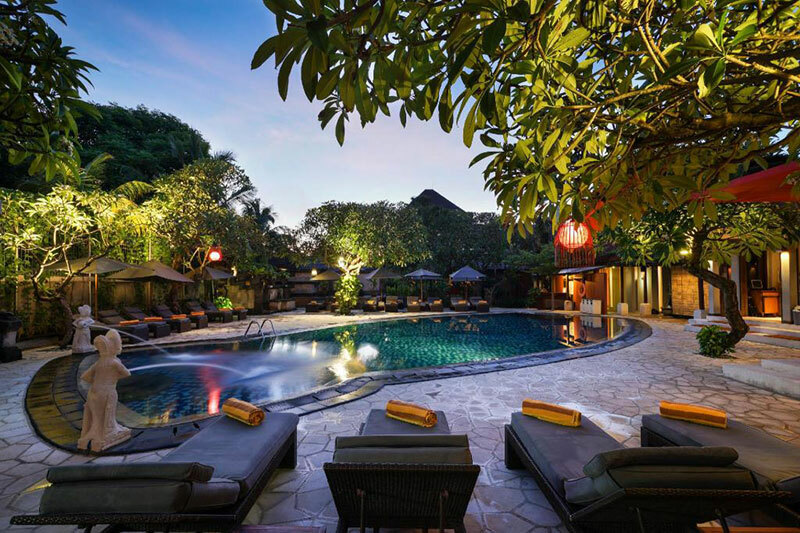 Set in an oasis-like setting with trees and a pool in the middle, The Oasis Lagoon Sanur will surely provide the well-needed rest you need while on your family holiday. The Balinese famously love children (not just their own but yours too), and the set-up at this hotel duplex family room is ideal for families who want to be relaxed without compromising on style. Don’t come here expecting the basic exotic because this hotel is comfortable to the core. Duplex rooms are spacious and spread over two floors in a loft-style, and it looks like they have mastered the art of introducing contemporary design by sustaining the aesthetics with purely natural materials – charming warm-coloured teak wood! Besides being very much convenient to accommodate all four family members, the family room is wonderfully chic (but not in a bling-bling way!). Although the beach is a few minutes’ walk away, most guests still congregate around the family pool, which is laid out to give parents sun-lounger time and children a rowdy ruck-about in the water! It’s simple here, no pressure because everyone (including kids) are happy from breakfast time to bedtime! The breakfast menu offers an array of your all-time childhood favourite – cocktail sausages and roasted potatoes for breakie? YAY! 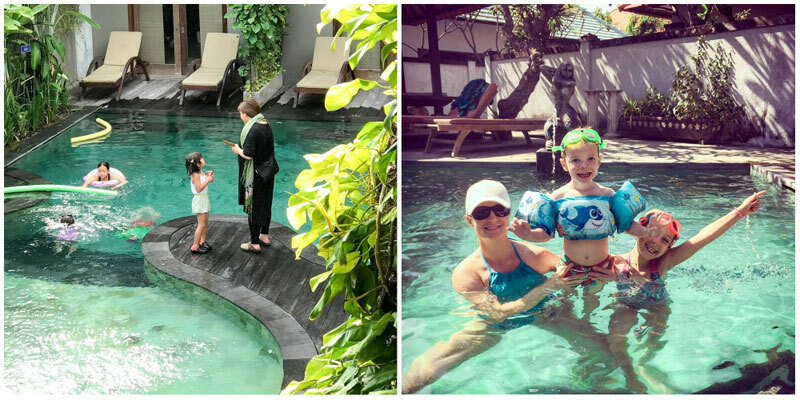 With the little ones fully satisfied, grown-ups should call for a treat and duck into their Tirta Spa for a Traditional Balinese massage. Although you may want to go out for the best of family meals, don’t miss out on the hotel’s De’dapoer Restaurant, and yes, a kids’ menu is available to make everyone happy! 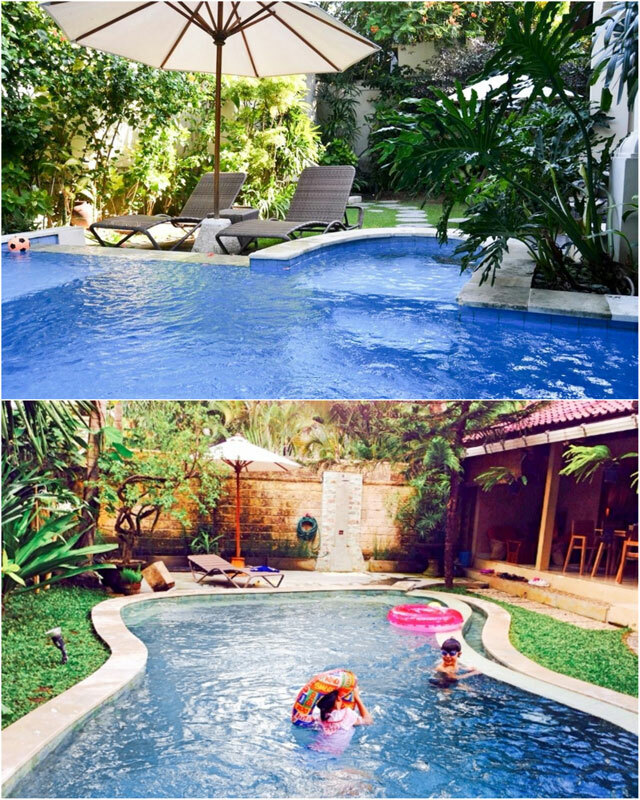 Are you a family of 4 looking for affordable accommodation in Sanur? This hotel surrounded by amazing restaurants and located close to the beach could fit into the bill perfectly! And it also comes with a pool! A short 25-minute drive away from the airport, be greeted by personalized genuine friendly service by the hotel’s amicable staff – reviewed as its paramount asset to make happy guests! Fit for 4, the Family Room at Abian Harmony Hotel is decked in an orange colour shade (the colour of joy) – enough to flick even teenage switches with happy smiles as they find out that there is also a private balcony they can chill at to nice music anytime they like! The airy family rooms are beautiful and welcoming; they’ve got that ‘feel at home’ vibe with a modern twist and aren’t too packed in terms of furnishing, so there’s enough space to fit all your luggages! 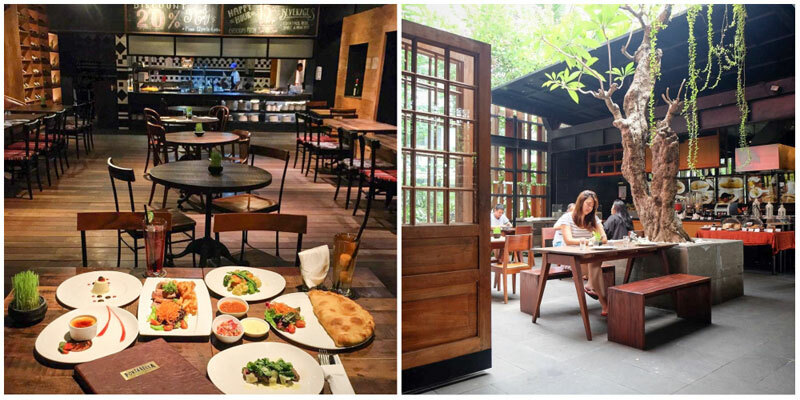 At night, settle in at the Italian restaurant next door – Trattoria Cucina Italiana Sanur – for incredible feasts of pizza and pasta, and cocktails the colour of sunshine, as the little ones fall asleep on your squishy laps and the DJ goes will groovy beats of lounge music! Where better to base yourself in Bali than the famous Kuta area, where you can find shops and restaurants at your doorstep? The spacious family room with three beds, TV, and a small private dining area is a steal at USD $76 during low season! 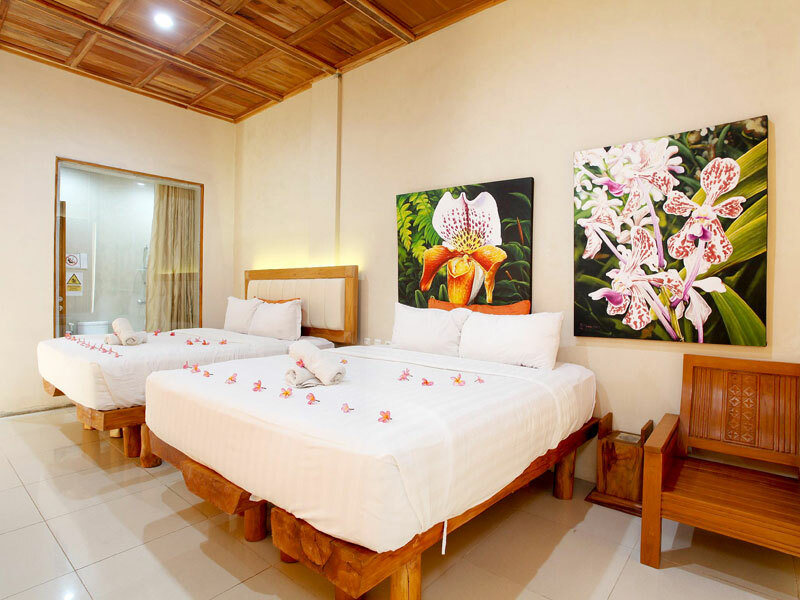 Rooms are in perfect condition, with beds resting on a teakwood floor and living up to a rustic charm. Finally a room where you won’t have to keep your kids busy with Peppa Pig playing on loop on the tablet while you try your best to relax in bed and escape for a quick shower; not anymore ‘cause you’ve got your bed overlooking theirs at Fontana Hotel so you can always keep an eye on what they are up to! Right in the middle of your room, find yourself a comfy spot on one of the poufs to enjoy a cup of freshly brewed artisan coffee from the hotel’s cafe Sunny 16! They are open 24/7 in case you need to sneak out to fuel up! 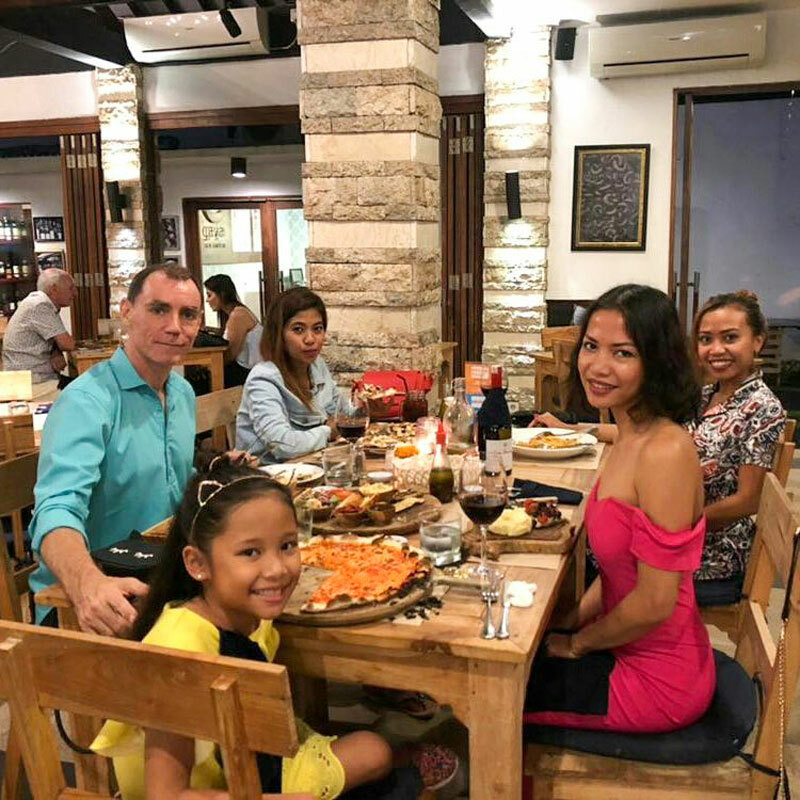 After sunset at the beach, settle down for a hearty seafood dinner at Portabella Bistro; the onsite restaurant earns high marks for its fresh cuisine, quality food and cool atmosphere! Of course, every family’s idea of fun is different but most of you would approve that the pool and proximity to the beach are life saviours for rowdy kids and teenagers! 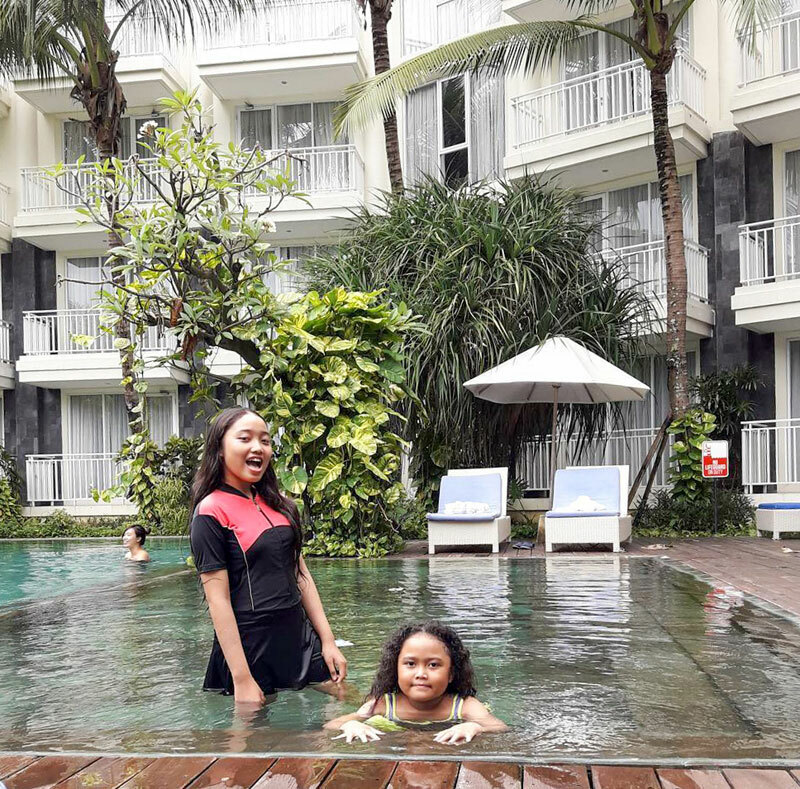 If you’ve promised the kids a pool and the beach but need to stay on budget, check out EDEN Hotel Kuta (they get sold out fast!). 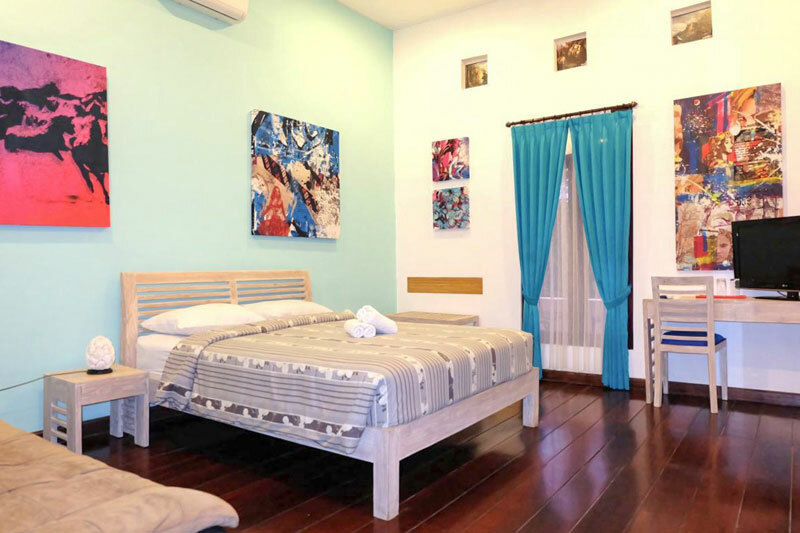 Family rooms are furnished with two semi double beds and cost about USD $79 per night. 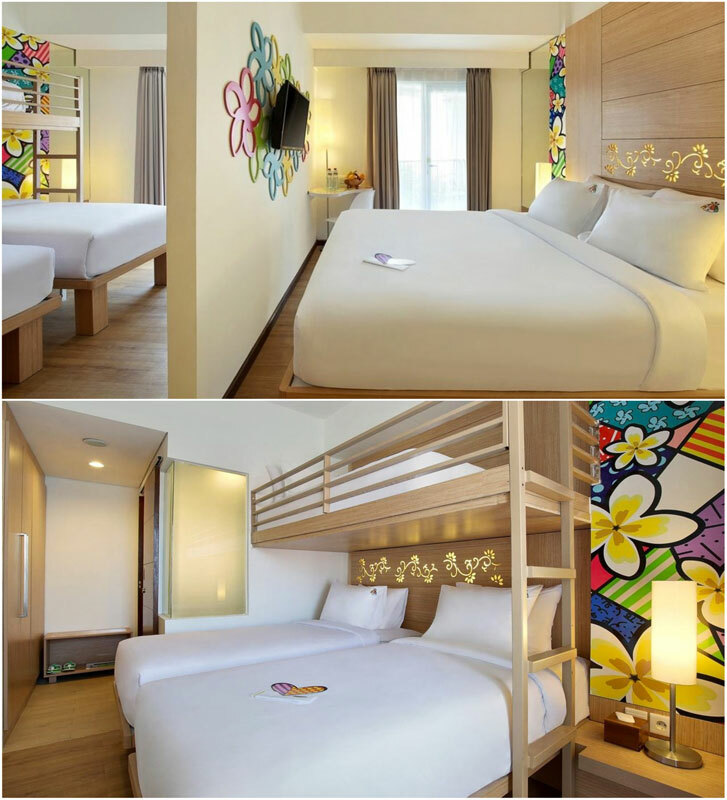 Rooms at EDEN Hotel Kuta have a fresh look of peace and harmony with green walls and tropical leaves backdrops. They are spacious, feature a balcony and a shower plus bathtub. Yes you’ve got your 3-in-1 deal (bathtub, pool and less than 20 minutes’ walk to the beach!). 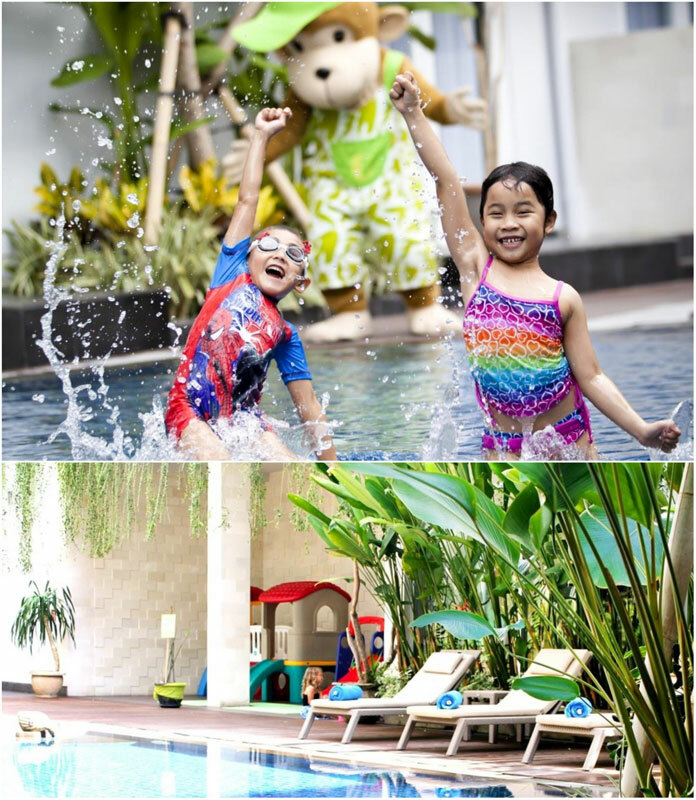 The hotel is indeed a guaranteed family-pleaser with its landscaped pool and a small kids’ playground just next to it. In or out of the water, the fun is still the same! 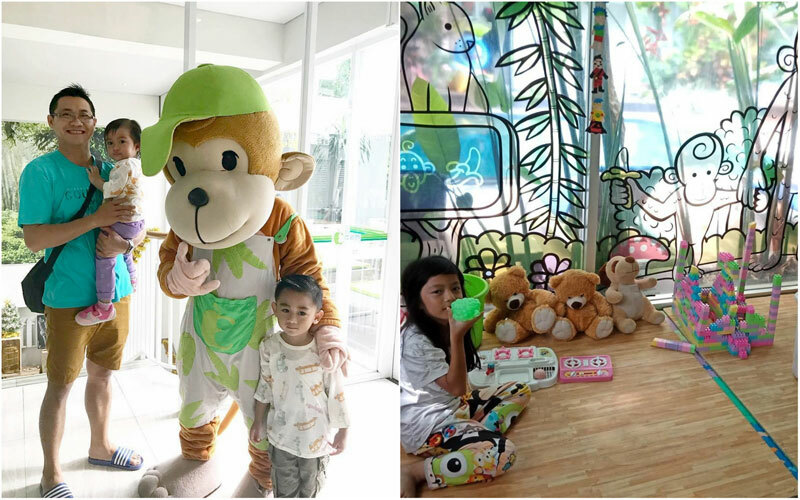 For kids above 3 years old, the hotel also offers daily activities at the kids club (check the activities’ schedule at the lobby), so it is very value-for-money if we are to consider all the amenities it features for such an affordable rate. Absolute deal for families! So rest assured parents out there, the hotel is loaded with opportunities to tucker the kids out for a good night’s sleep before the snorkeling excursion you have planned for the next day! 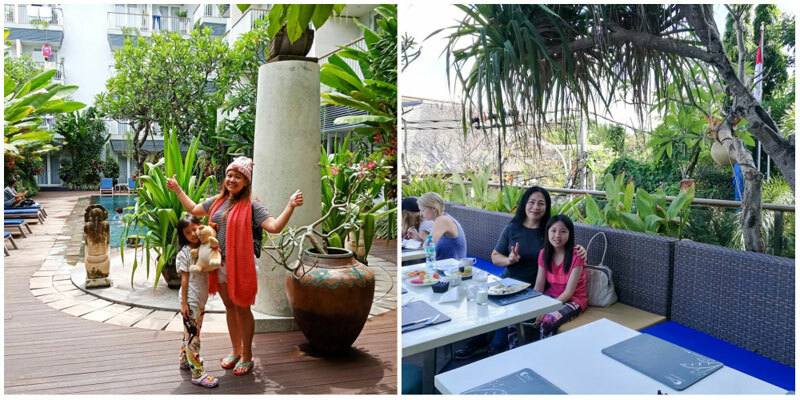 This small-scale stay in glorious Seminyak with charming and homey interiors has created a genuinely family-friendly environment. Not to mention that besides its ambience, the stay also offers family rooms fit for up to four adults with two king beds and a sofa bed. Walking into the room will be no cultural shock for your kids – they will instantly feel at home! 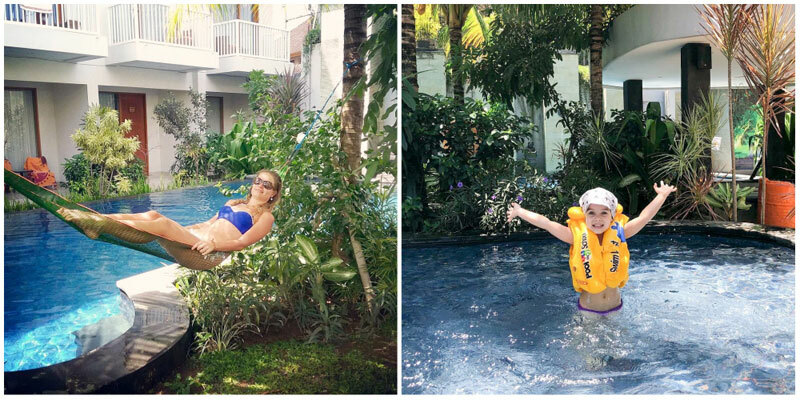 It’s easy to see why parents like to plump for Umadasa Seminyak Bed and Breakfast year after year. It’s located in a safe area, easy and convenient to get to, sure-bet reliable, affordable, and respectable enough to still feel like a treat. 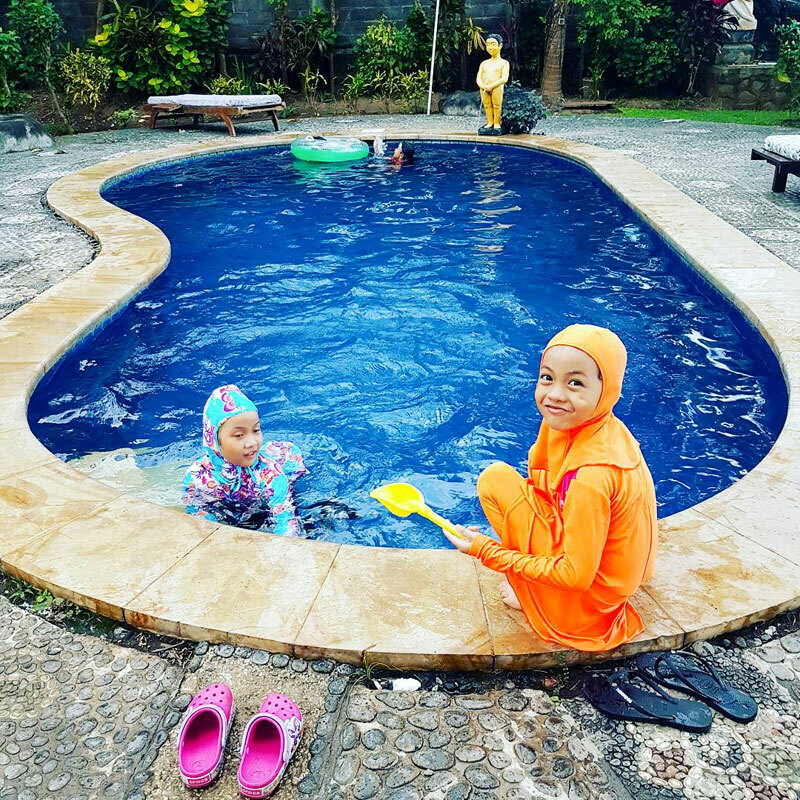 The stay is tranquil and serene so that gives you opportunity for ultimate relaxation, complete with a dip in the pool with your little ones in a charming garden area! 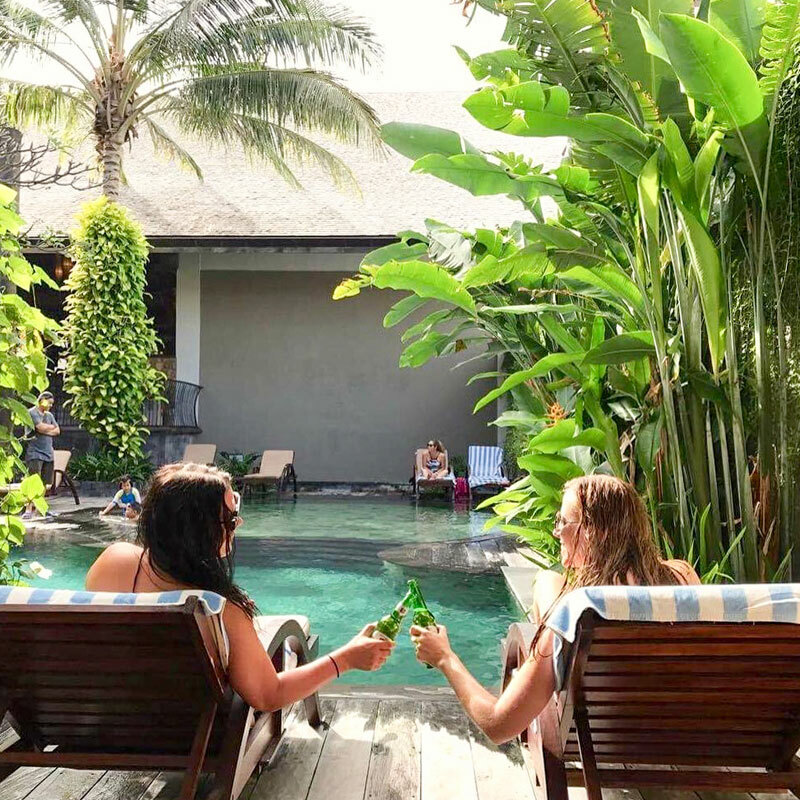 Forget about big luxurious resorts’ feels when at the Umadasa Seminyak; simply be at home with absolutely no need to don fancy outfits to stroll around the place or worry about posh people complaining about your loud kids – this is your home away from home in Bali. The best part? 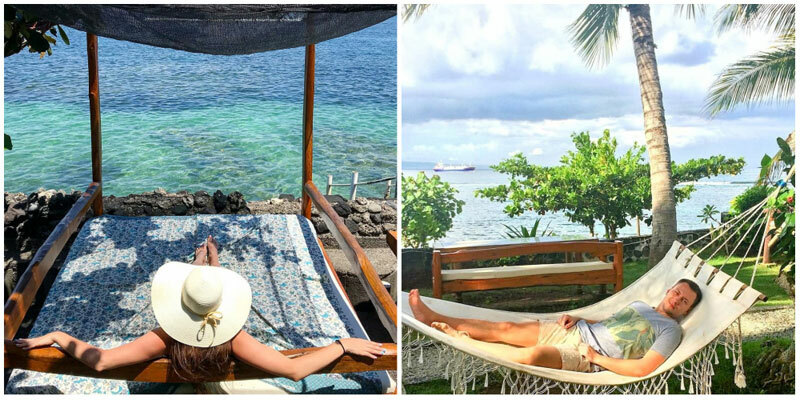 Did we even mention that this down-to-earth accommodation is just a 3-minute walk to Double Six Beach? It’s a big YES for such a family holiday – peace, pool, beach, and a spacious room for four without breaking the bank! 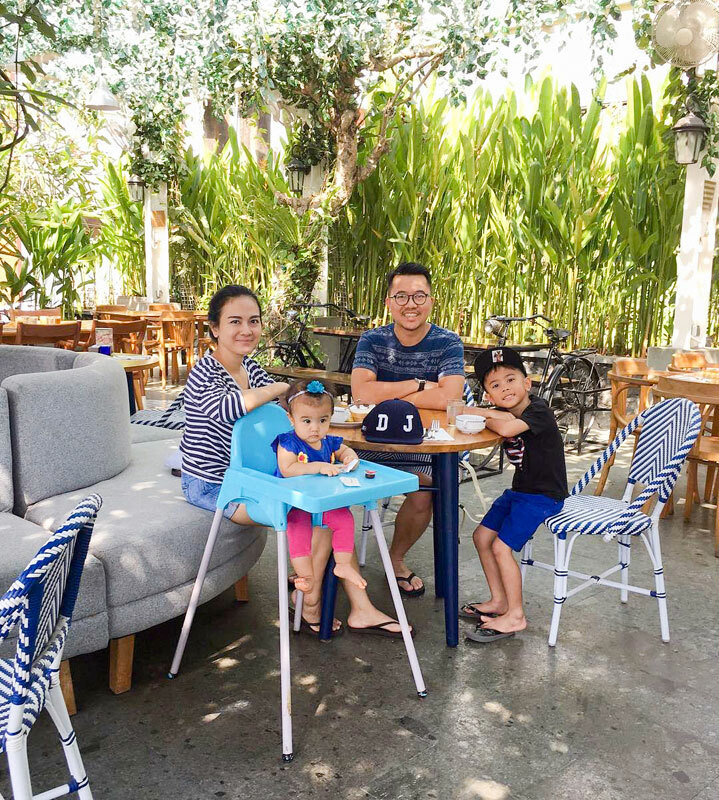 Who says it’s impossible to find affordable and spacious family rooms in popular areas of Bali that can fit the entire family, with a pool for the kids and a beach nearby? These stays know how precious family holidays are and make room for relaxation with thoughtful amenities, fantastic facilities and parent-pleasing extras! Which ones will you check out? Let us know in the comments section below!